Tim and I were reminiscing while traveling together last week to and from Michigan; we were remembering about our “eye glass ministry”. We had a couple of doctors who sent us an action packer full of eye glasses of all strengths and designs. 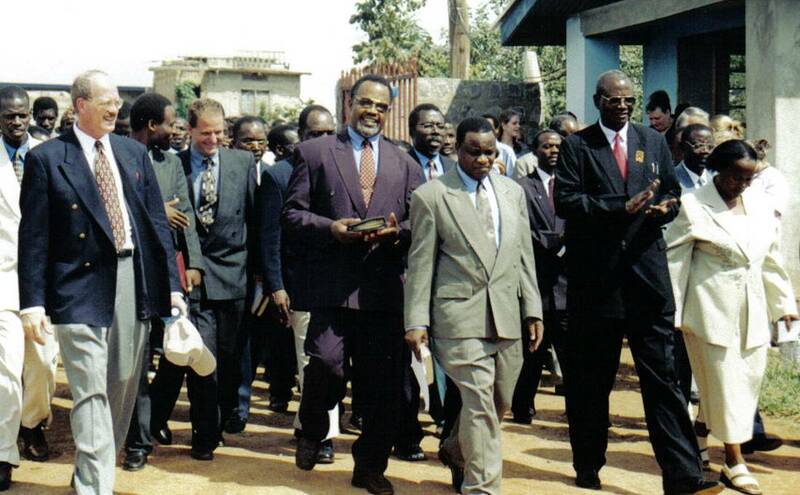 We had watched many of our national pastors struggle to read their Bibles and had realized that they needed glasses. We started carrying the glasses with us wherever we went and when we held seminars and meetings we would set up a little eye glass clinic for those who needed glasses. Since Tim and I had absolutely no training; we established a quick and easy system. We had two tables; at the first table Tim would have a pair each strength of glasses that we had. Tim would have each pastor open his Bible and hold it at the proper distance; they would try on glasses until they found one that worked! I would be at the second table with all the glasses grouped together by strength; Tim would say what strength that person needed and I would then show them which group of glasses to choose from. It was a delight to watch their faces light up when they could see their Bibles with their new glasses. There was a lot of fun and fellowship as the other pastors stood around and watched. They would help each other choose the “perfect” glasses and there would be many smiles and hand-clapping as the process moved along. My favorite memory of our “eye glass” ministry actually occurred at our home one day when Tim was away. An elderly lady pastor who I was told had nine children showed up at my gate. Although she lived a day’s travel away, she would come occasionally to Mwanza to visit her daughter. She was brought up to the house and I welcomed her inside for a cool drink and snack. As we sat, she reached in her dress pocket and carefully pulled out a pair of broken and dilapidated eye glasses. I looked at the glasses and noticed that one lens was completely gone and the other had a crack across it. One arm of the glasses was gone as well. She had been told by some of the pastors in her area that she could get a new pair of glasses from us. With great excitement I brought out the box of glasses and I had her start trying them on. After a bit, she found the strength that worked for her and I pulled out all of the glasses in that strength. In a few minutes she had narrowed it down to two pair: one pair was practical and simple and the second pair was blue with rhinestones in the corner. She was torn between having something pretty that she liked or getting something more practical. I felt the Lord speak to my heart to give her both pair; so I handed them both back to her and explained that they were both for her. She jumped from her chair and began jumping around the office with her hands in the air praising God for his goodness. We hugged and I saw a look of joy on her face; the tired slump was gone from her shoulders and she left with a bounce in her steps. She was reminded by the gift of the glasses that her God loved her and cared about her needs; she would never have had the money for a new pair, but God saw her need and blessed her for her years of faithfulness to a small church and to her family. Tim and I are encouraged by these memories, the God who feeds the sparrows, dresses the lilies of the field, and gives glasses to the isolated hard working pastors living in the remote areas of Tanzania is still the same God today. He blesses and provides for those who are faithful in extending His love to the lost people of this world. Blessings to each one of you!